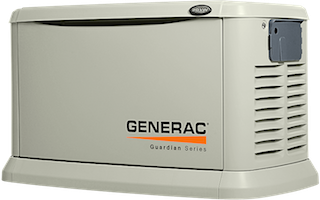 Generac® generators kicks in within seconds of determining power loss—automatically—and runs for as long as necessary until utility power returns.. In partnership with Generac® by Generac Power Systems, D.R. Howell Electric is an authorized Sales & Service Dealer for Generac Home Standby Generators, ensuring our customers have a total package offering. Backed by 50 years of Generator excellence, Generac® is the market leader for Automatic Home Standby Generators. That is why we at D.R. Howell Electric felt the need to team up with Generac® and better support our existing and future customers. To learn more about Generac® Generator Products and Services, we encourage you to visit Generac®, or contact our office for more information. The power cable is plugged into the Generlink connection device that's part of a household electrical backup system. The other end of the cable connects to a generator, delivering power to the house when the grid is down. 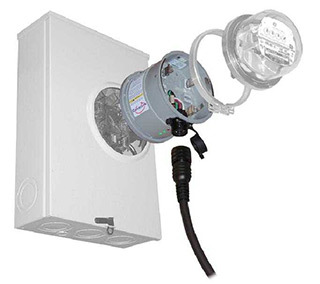 GenerLink™ is a new product that makes connecting a portable generator easy and safe while providing homeowners the flexibility of using a portable generator to operate virtually any appliance in their home. During a power outage, GenerLink™ allows you to select the combination of loads you want to operate by simply switching breakers in the household circuit panel. This flexibility makes generator sizing relatively straightforward. Purchase a generator that is powerful enough to run the largest appliances and motors you need during a power outage. You may run other loads in your house by simply turning off the breaker to large usage loads. If your using a hot water heater, for example, turn off this breaker once the water has been heated, and turn on breakers to other loads you want to operate. To learn more about Generlink, we encourage you to contact our office for more information.